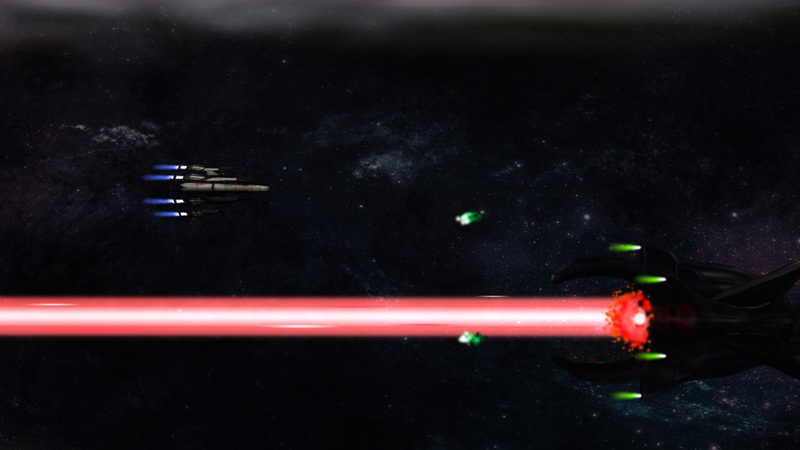 Volume Effect is a scripted side scrolling shoot em up boss battle I made in Unity. 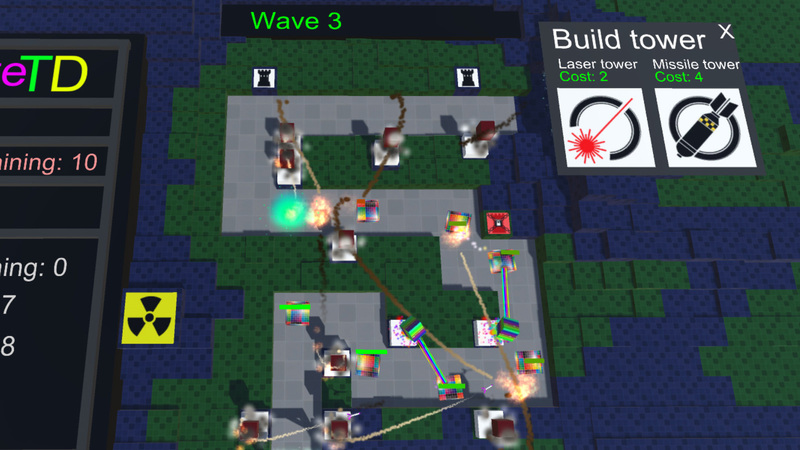 Volume Effect was made using the knowledge I had gained from making the Unity scripted Tower Defence game I made previously. Development - As I had already learned the basics of scripting in Unity I was able to use that experience to fasten the workflow. 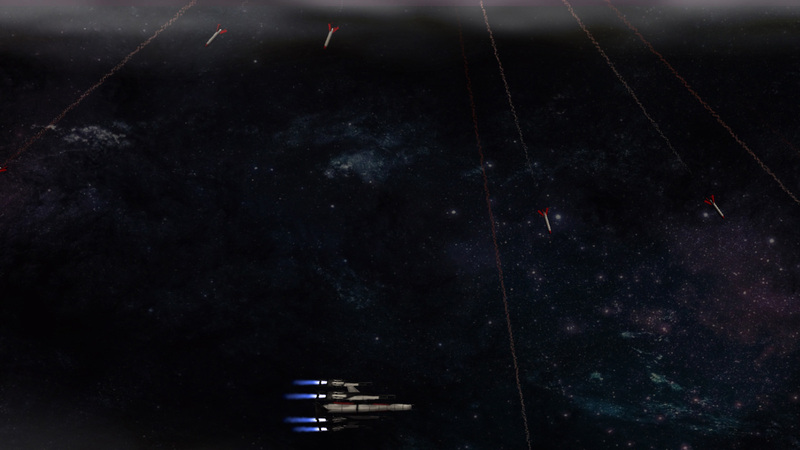 I spent the first week on making 3D, particle effects and coming up with ideas for different phases of the fight. The third and final week was spent on finding and fixing bugs, balancing the fight to make it challenging but not impossible and creating a movement pattern for the boss to use. Game Engine - Unity 4. 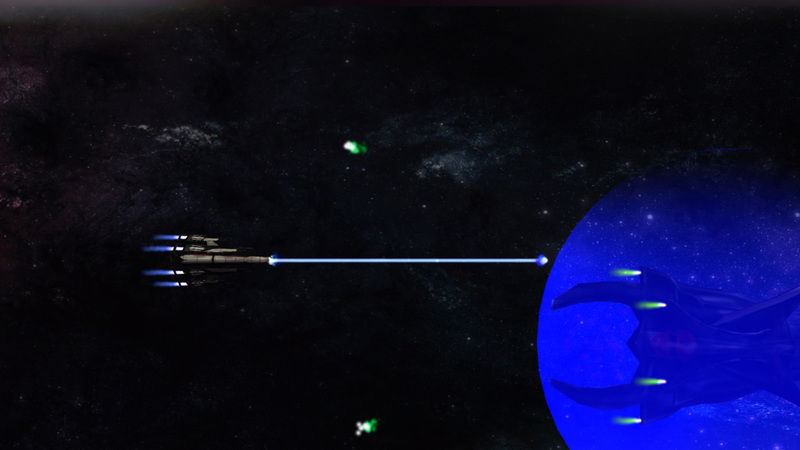 Gametype - Shoot 'Em Up Boss Fight. 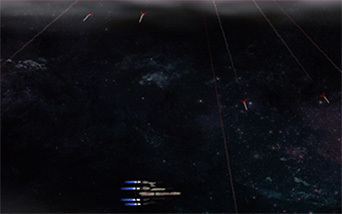 Custom Content - Spaceship 3D models and hand-painted textures, missile 3D model, particle effects for missile trail, explosion, asteroid explosion, exhaust vents and projectiles. All other content was acquired from Unity Store. Rapid firing machine gun weapon. Frontal raycast laser which will deal damage to targets in it's path. 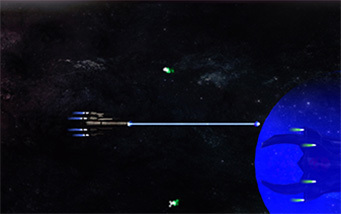 Destructible asteroids which kills player on impact. Boss movement pattern which changes as you progress through the phases. Hit effects on boss and asteroids. Six unique boss phases with unique behaviours and tactics. 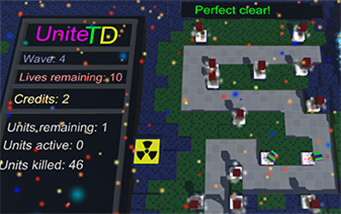 UniteTD is a scripted Tower Defence game I made in Unity. 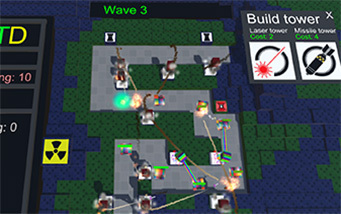 Development - Most of the developement time was spent on learning the basics of scripting in Unity. Since I needed to learn a lot in order to get the features I wanted into the game, less time was spent on making the visual part of the game. I did however spend a few days making particle effects, utilizing my experience in creating particle effects in Unreal Engine 4. I had originally intended to include more than one boss and several different wave units with special abilities and such. But I quickly realized that I would have to reimagine the scope in order to get it done in time. Lowering the scope meant I only had to balance the game around 2 different towers, 3 different wave units without special abilities and a boss. In the end I balanced it in a way that would require the player to strategically place the towers and make sure to utilize the Missile Tower for the slower moving waves. 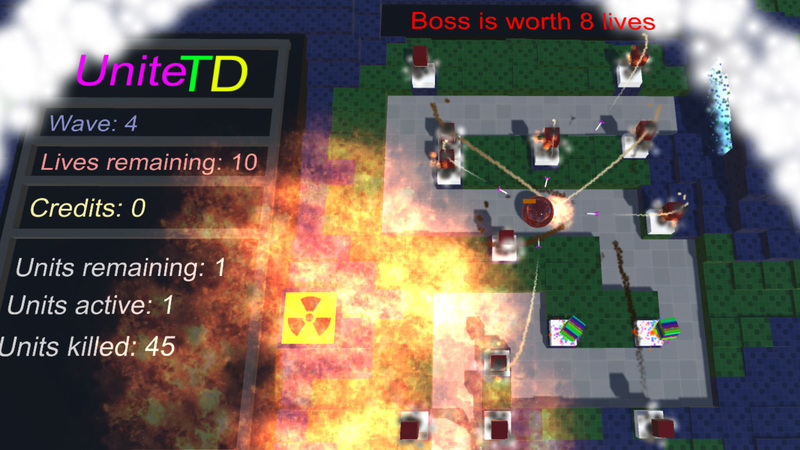 I added the 'Nuclear Detonation' feature as a way for the player to catch up from a disadvantage. It can turn a sure loss into a win if it's used at an appropriate moment. Custom Content - 3D models, textures and particle effects. Features - Statistics board which will automatically update as the statistics change during play. These statistics include Wave number, Lives remaining, Credits, Units remaining, Units active and Units killed. 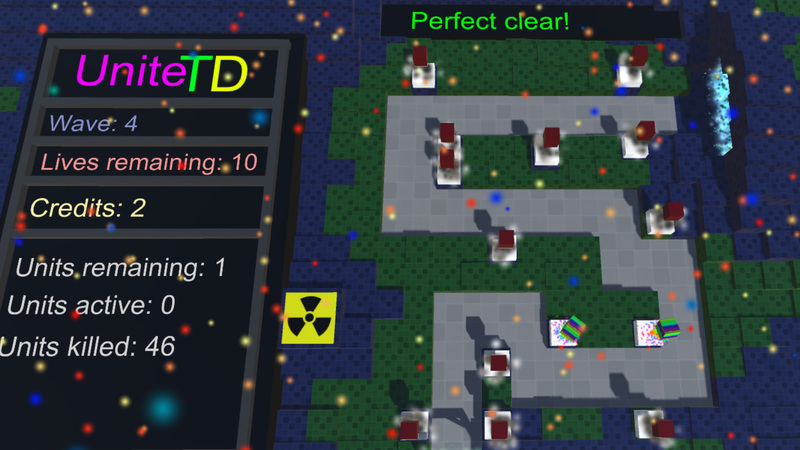 Menu for building towers which will show it's values in green or red depending on the players current credits. Player can unlock several build sites for a small credit cost. A special 'Nuclear Detonation' which can bought once only and is useful for clearing out wave units you are unable to kill. 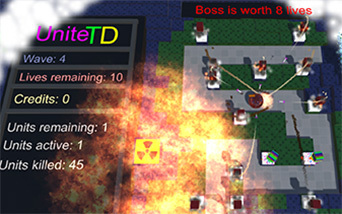 Win/Lose condition, the game is won if the player makes it through without losing all 10 lives. The game is lost if the players lives reaches 0. Navigation route for wave units. 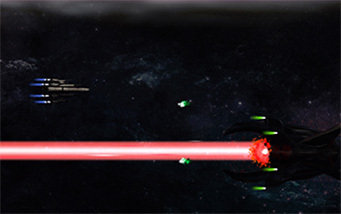 Tower weapons included are homing missiles and laser beam.